The Samsung SCP-2370RH is a high speed professional infrared PTZ camera that features a 37x optical zoom and built-in IR LEDs. It adjusts the infrared intensity to provide the appropriate amount of IR light at certain zoom ratios allowing it to capture details in the dark up to 328ft. The SCP-2370RH offers true day & night, motion detection, and delivers clear and vivid images. It is IP66 rated making this camera suitable for any challenging condition. The Samsung SCP-2370RH has many exciting features for users of all types. 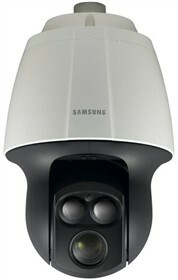 See the Samsung SCP-2370RH gallery images above for more product views. 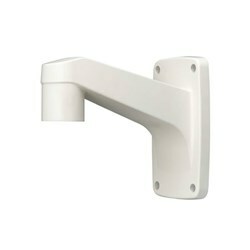 FactoryOutletStore stocks a full line of accessories like Wall Mount Bracket for the Samsung SCP-2370RH. The Samsung SCP-2370RH is sold as a Brand New Unopened Item.